Jolandi graduated from the University of Pretoria in 2004 and completed her Radiology training in 2010. 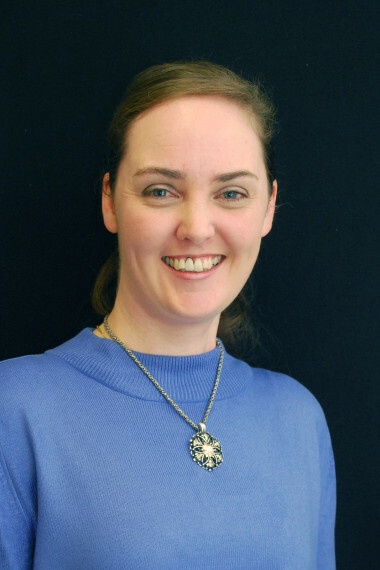 Following three years of Neuroradiology sub-speciality fellowship training both at the Neurological Intervention & Imaging Service of Western Australia (NIISwa) and The Royal Melbourne Hospital, she returned to Perth in 2014. She joined Perth Radiological Clinic in that same year, becoming a partner in 2017. Neuroradiology – brain and spine. Atypical and malignant meningiomas: Considerations for treatment and efficacy of radiotherapy. Cain SA, Smoll NR, Van Heerden J, Tsui A, Drummond KJ. J Clin Neurosci. 2015 Nov;22(11):1742-8. doi: 10.1016/j.jocn.2015.03.054. Improving Multiple Sclerosis Plaque Detection Using a Semiautomated Assistive Approach. Van Heerden J, Rawlinson D, Zhang AM, Chakravorty R, Tacey MA, Desmond PM, Gaillard F. AJNR Am J Neuroradiol. 2015 Aug;36(8):1465-71. doi: 10.3174/ajnr.A4375. Picture-to-puncture time in acute stroke endovascular intervention: are we getting faster? Van Heerden J, Yan B, Churilov L, Dowling RJ, Mitchell PJ. J Neurointerv Surg. 2015 Aug;7(8):564-8. doi: 10.1136/neurintsurg-2014-011177. Magnetic resonance imaging in adults with epilepsy: a pictorial essay. Van Heerden J, Desmond PM, Tress BM, Kwan P, O’Brien TJ, Lui EH. J Med Imaging Radiat Oncol. 2014;58(3):312-9. doi: 10.1111/1754-9485.12150. Functional MRI in clinical practice: a pictorial essay. Van Heerden J, Desmond PM, Phal PM. J Med Imaging Radiat Oncol. 2014;58(3):320-6. doi: 10.1111/1754-9485.12158. A rare case of cerebral proliferative angiopathy with bihemispheric morphology. Van Heerden J, Cheung A, Phatouros CC. Neurol Clin Pract 2013 Jun;3:266-269. Vanishing bone disease of the orbital roof: now you see it, now you don’t. Dharsono F, Van Heerden J, Mesbah Ardakani N, Franconi C, Honeybul S, Lind CR, McAuliffe W. J Med Imaging Radiat Oncol. 2014 Oct;58(5):582-4. doi: 10.1111/1754-9485.12199. Intravenous minocycline in acute stroke: a randomized, controlled pilot study and meta-analysis. Kohler E, Prentice DA, Bates TR, Hankey GJ, Claxton A, Van Heerden J, Blacker D. Stroke. 2013 Sep;44(9):2493-9. doi:10.1161/STROKEAHA.113.000780. Clinical management and survival outcomes of gliosarcomas in the era of multimodality therapy. Damodaran O, Van Heerden J, Nowak AK, Bynevelt M, McDonald K, Marsh J, Lee G. J Clin Neurosci. 2014 Mar;21(3):478-81. doi: 10.1016/j.jocn.2013.07.042. Susceptibility weighted imaging as a useful imaging adjunct in hemichorea hyperglycaemia. Dharsono F, Thompson A, Van Heerden J, Cheung A. Case Rep Radiol. 2013;2013:456156. doi: 10.1155/2013/456156. Bevacizumab-related remote intracranial haemorrhage after glioma resection. Omprakash Damodaran, Jolandi van Heerden, Anna Nowak, Irina Kurowsky, Gabriel Lee. Neurosurgery Quarterly, Accepted, awaiting publication. Spinal arachnoiditis as a consequence of aneurysm-related subarachnoid haemorrhage. Van Heerden J, McAuliffe W. J Med Imaging Radiat Oncol. 2013 Feb;57(1):61-4. doi: 10.1111/j.1754-9485.2012.02416. PACS: Do clinical users benefit from it as a training adjunct? Van Heerden J, Bam D, Lockhat Z. SAJR 2011 Jun;15(2):38-41. Chondromyxoid Fibroma – a case series and radiological review. Van Heerden J, Verwayen J. South African Journal of Orthopaedics, Feb 2010.